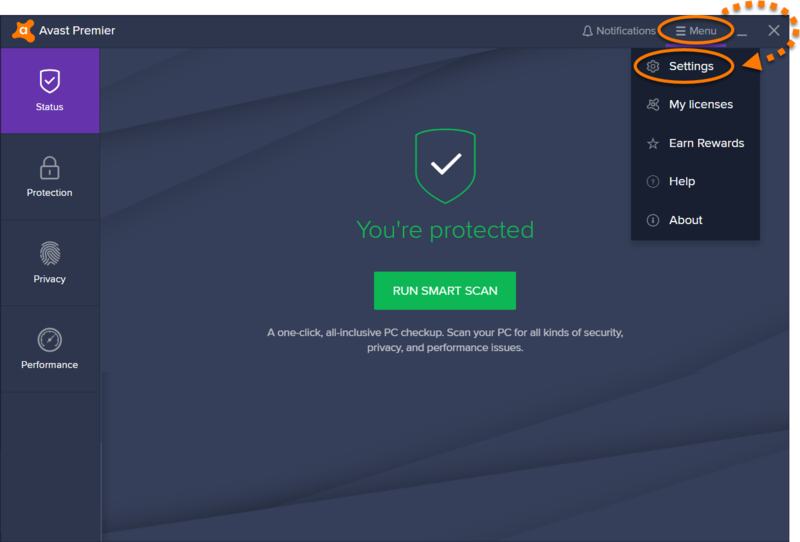 Avast Antivirus allows you to back up your customized program settings and restore them if necessary, for example, if you reinstall an operating system or upgrade your PC. 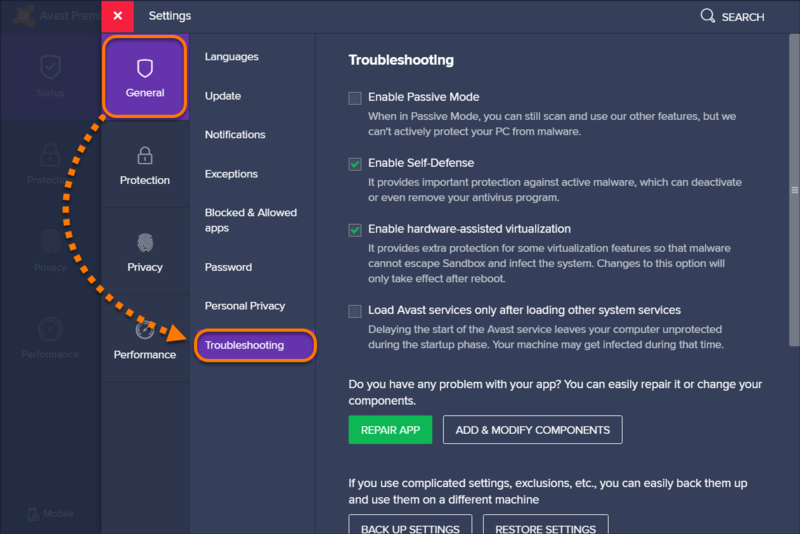 Open the Avast user interface and select ☰ Menu ▸ Settings. Ensure the General tile in the left-side panel is selected, and click Troubleshooting. Scroll down and click Back Up Settings. Select a location where the backup file will be saved, and click Save. 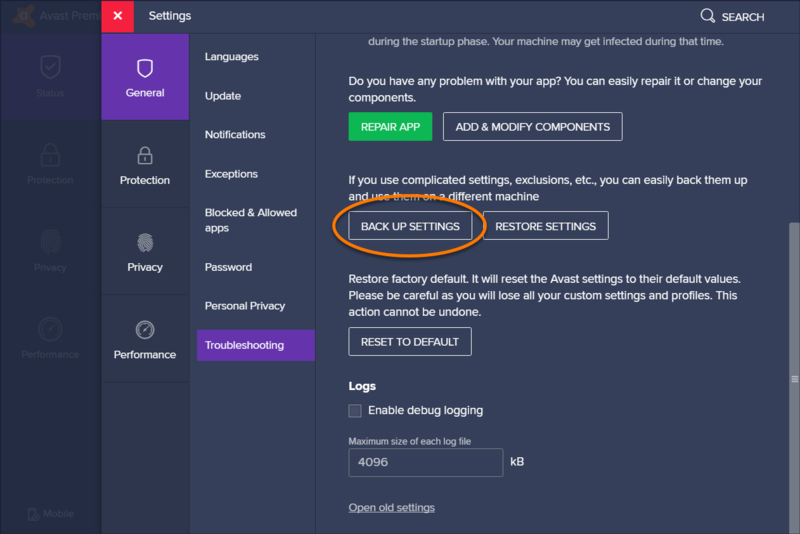 Click OK when the Avast Information dialog indicates that you have successfully exported your customized settings. 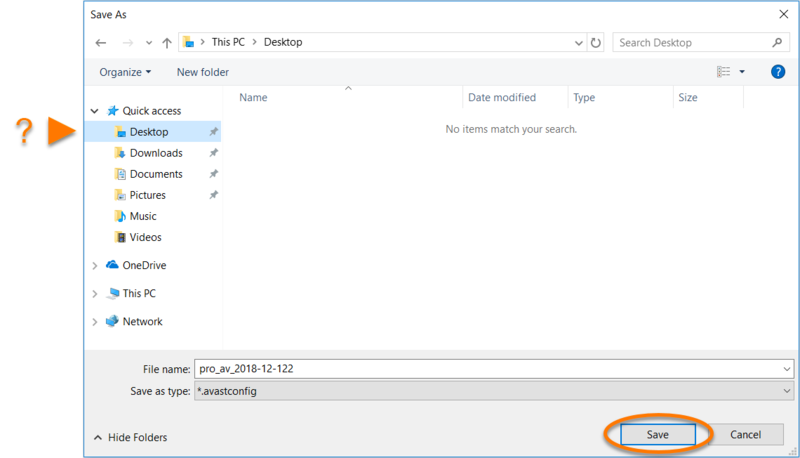 Your customized settings are now stored in a backup file on your PC. 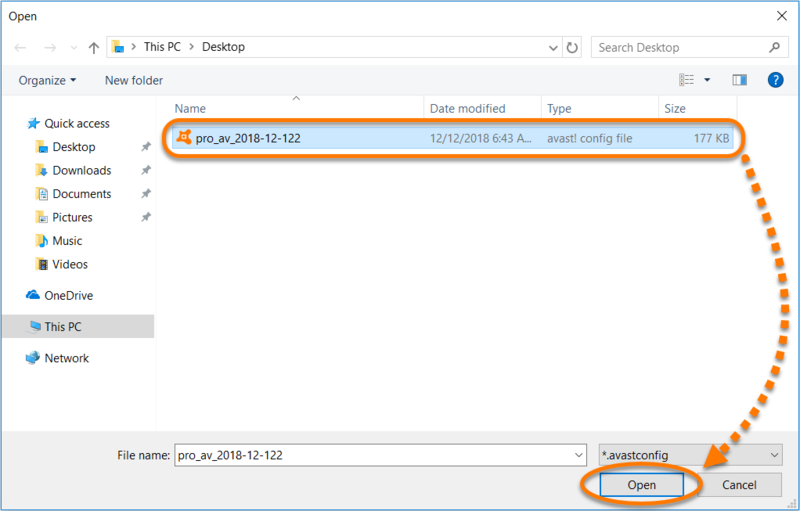 Ensure the General tab is selected in the left-side panel, and click Troubleshooting. Scroll down and click Restore Settings. Select the previously saved backup file that you want to restore, then click Open. Select Restart Now in the dialog that appears to restore your settings completely. Your customized settings are now restored.